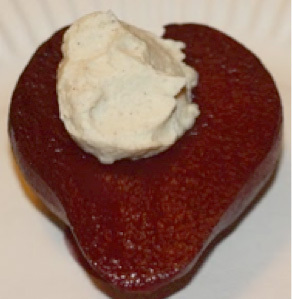 In a medium, heavy saucepan mix the red wine, Tahitian Vanilla Balsamic, sugar, cinnamon stick and star anise. Bring to a simmer and reduce by 1/3 (about 15 minutes). 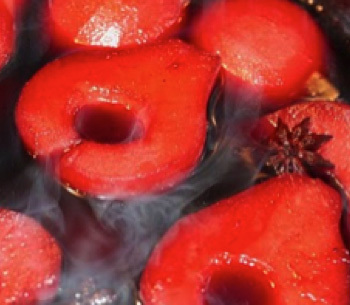 Place the pear halves in to the hot poaching liquid and simmer for 25 minutes or until the pear halves are vivid red and tender when pierced with a knife tip. Chill the pears in the poaching liquid. Meanwhile, make the honey-mascarpone. Using a stand mixer or in a medium mixing bowl, whip the mascarpone, honey and cinnamon together until light and airy. Serve the chilled pears with a dollop of mascarpone.